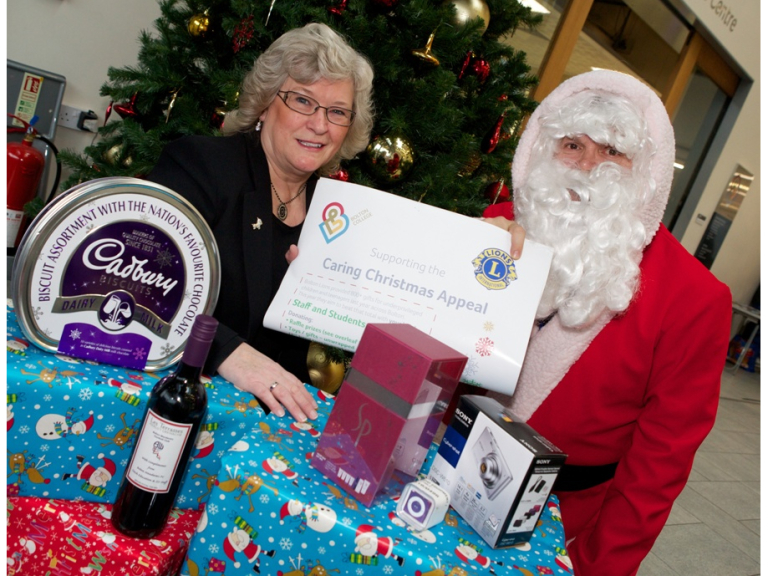 Bolton College has teamed up with The Bolton Lions and The Bolton News, helping to bring a little Christmas cheer to under-privileged children this festive season. The Caring Christmas Appeal will give more than 900 local children toys and gifts this Christmas, through generous fundraising efforts and donations. Bolton College staff, students and the College’s Signature Restaurant diners donated a range of gifts, and raised £536 from a Christmas raffle, which will be donated to the festive appeal. Raffle prizes were given to the College from businesses throughout Bolton, including DeVere Whites, The Holiday Inn, Octagon Theatre and Bolton Wanderers Football Club.